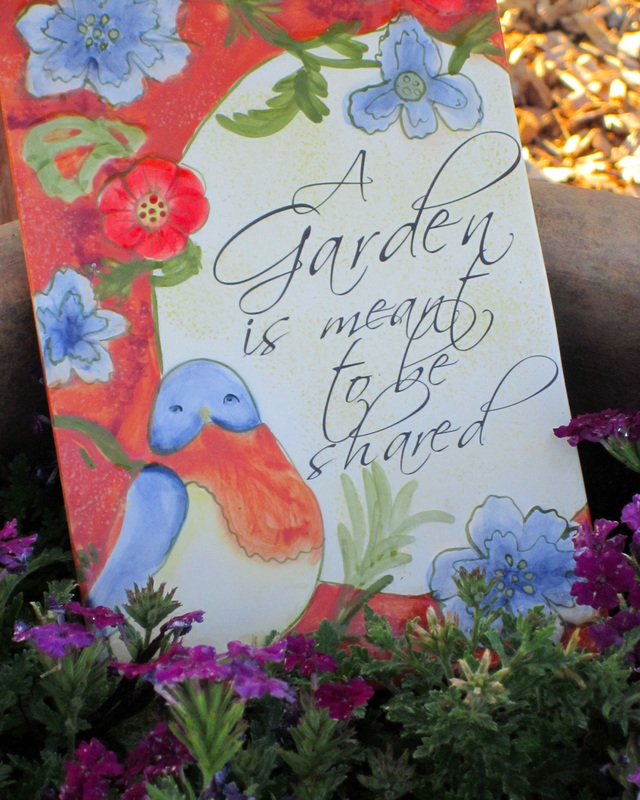 First, as the tile says, “a garden is meant to be shared.” All kinds of two and four-legged creatures are drawn to the Homeward Bound Memorial Garden. 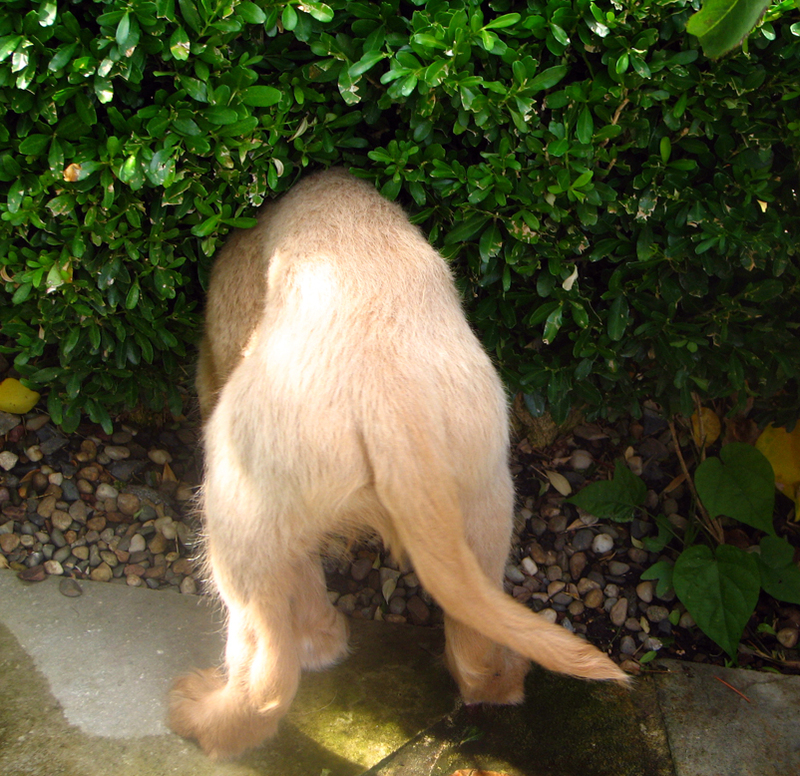 Some to toil, some for reflection or remembrance, and some simply in search of stray tennis balls! All are welcome – even those that don’t have legs (snakes) as long as they are friendly. Be adaptable. Things change in the garden. The tree that was a twig now covers the garden bed in shade. A rice field overflows and changes the composition of your soil. Time and nature have their way. Fighting is futile. Things that worked in the past, might not work in the present. A garden teaches you to adapt, adjust and move on. Plants are like dogs; they need the right home and elements to thrive. Put two vigorous and bossy plants side by side and something is going to get overrun. Try to plant a shade- loving plant under the hot sun, and it will wilt, then sizzle. Find complementary matches and settings – and you’ll be amazed at what blooms. Listen and learn. Our volunteer gardeners have all level of experience and much to share. If you pay close enough attention, the land itself will tell you what it needs to put forth its best effort. Similarly, the way a dog looks or leans in to you will tell you just about everything you need to know about what it needs to feel loved. Finally, volunteer dog rescuers, walkers, groomers, feeders, trainers, vets and placement teams have hearts as big as the dogs they care for. They absorb the trauma of whatever brought these dogs to this special place, stare down countless hurdles, and with patience and nurturing, bring out the best in every dog at Homeward Bound Golden Retriever Rescue and Sanctuary turning ends, into new beginnings. Be adaptable is what this garden post is all about. I’m hoping the plants read this post, as it is expected to be 103 degrees in the Sacramento Valley tomorrow. I’m stopping by to see my sunflowers to give them some moral and water support tomorrow.